From 1983 through 2007 Rich Gifford was a fixture on the Avon High School baseball diamond leading the Panthers to 305 victories over this twenty-three year span. With Gifford-guided team’s winning better than two-thirds of their contests the Panthers became a steady participants in MIAA post season play, qualifying for 18 state tournament’s, winning the Mayflower League Championship on nine occasions, and helping to earn their mentor a “Coach of the Year” award along the way. 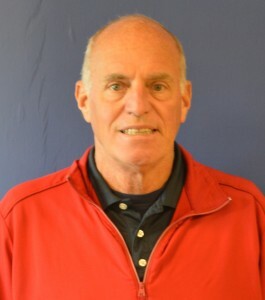 During the winter months for over a quarter century Rich has also earned many accolades as his teams dominated the basketball court for decades winning four state championships during the 1990’s. This sense of duty to others no doubt was a motivating force in Rich’s decision to dedicate three years of his post college life as a Peace Corps volunteer in Latin America working in the classroom and on the field with special needs children. Coach Gifford followed this experience with a long career as a science teacher and a well-respected coach. For both his coaching success and years of service to the development of young people Richard Gifford is truly deserving of this Hall of Fame honor.